We’ll accompany you in your journey to recovery. 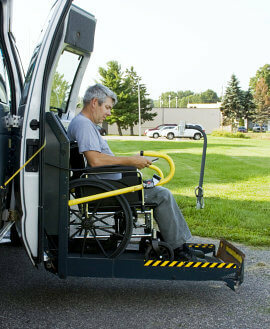 Doing even ordinary things could be quite challenging for people with impaired mobility. They may get that feeling of frustration whenever they fail to do the things that were once so easy for them to do. The good news is, there is still a way for them to regain their skills. In rehabilitation centers, they could acquire occupational therapy, physical therapy, and other special training. With their impaired mobility, going to rehabilitation centers could be difficult for these clients. We understand the challenge that they are facing, so we aim to provide a solution for it through our NEMT services. Through this, we can take them to the rehabilitation center safely and comfortably.